Protect your dignity, freedom, and estate from exploitation! $1.5 trillion dollars per year passes generationally in the U.S. today. That number is projected to grow to $2.5 trillion by 2035. Today’s seniors control the greatest wealth in American history. Adults with intellectual or developmental disabilities, trust assets and federal entitlements represent significant wealth as well. Whether it is the onset of old age, disease, or injury, we naturally become susceptible to undue influence. We must all be prepared to protect ourselves, our estates and our heirs with executed and distributed estate documents to best insure protections from predatory parties. Though many attorneys are honest and work with integrity, in reality, the legal system does not demand honesty, and is uniquely positioned to intercept estate funds either through independent actions or through the probate court system. The probate system nationwide is fully aware of the system’s shortcomings, and yet it refuses to admit how easily it can be compromised to benefit the predatory legal community — at the expense of the vulnerable public it claims to protect. The appointment of an unscrupulous guardian can happen to anyone. The practice is fully endorsed by some in the legal community who can mitigate liability or receivables risks by medical institutions, or illegally assume control of an estate. It is a problem in every state, the question being only to the degree by which it occurs. CEAR is a not-for-profit advocate with a mission to educate and seek justice for Americans when they are threatened by the growing problem of abusive probate, trust and guardianship fraud.  CEAR is positioned to be the national resource of information on legal community exploitation, and voice for the people in legislating state based and federal reforms to insure that each state can best protect the rights of all its citizens and their heirs. CEAR’s objective is to become the front line defense against the betrayal of our most vulnerable citizens, and a powerful force that investigates those who pervert the courts and exploit the law for their own gain. We were confused and distraught about what were experiencing in probate court trying to protect Dad. CEAR‘s advice helped us understand the system’s objective and commitment to create a professional guardianship and how to combat their efforts. If only our attorney would have advised us how the system really works. CEAR gave me practical advice that helped me anticipate and outmanuever the predatory lawyers and guardian holding my mother in isolation and liquidating her estate fighting our family’s efforts to protect her. She is now free and in the safety of the loving protection of her family.